Caitlin is using Smore newsletters to spread the word online. 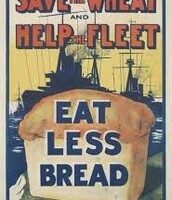 Glittering Generality: This poster uses the catchphrase, "Save the Wheat and Help the Fleet." 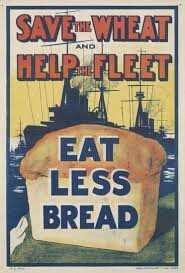 How The Terms of Citizenship Are Defined: This poster encourages people at home to ration their food so they could "help the fleet" by providing food to the soldiers fighting in the war. Don't Read It- Make it! 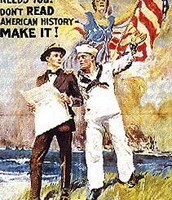 Bandwagon: This poster encourages men to take action and make history along with thier brothers by enlisting in the war and fighting for "Lady Liberty". 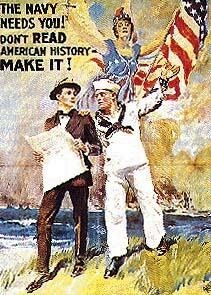 How The Terms of Citizenship Are Defined: This is meant to spark a fire in a man's heart and encourage them to enlist and make history with others. 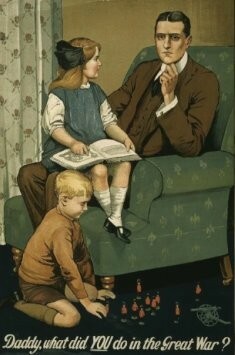 What Did YOU Do In The War? Plain Folks: This approach attempts to convince the audience that the spokesperson is someone they can trust and has their best interest at heart. 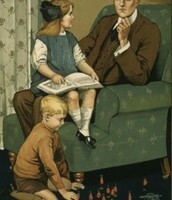 Targeted Audience: Men eligible to enlist in the war. How The Terms of Citizenship Are Defined: This shows that the men fighting in the war are trustworthy and are just ordinary men. 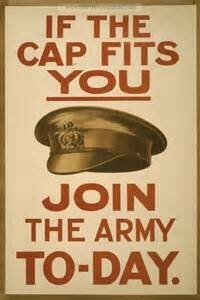 Glittering Generality: Uses the catchphrase' "If the cap fits you" to persuade men to enlist. How The Terms of Citizenship Are Defined: The military is accepting all men to fight for the United States as long as the "cap fits." 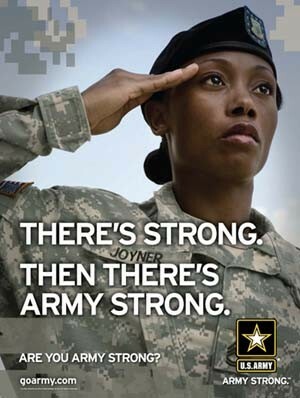 Glittering Generality: Uses the common catchphrase "Army Strong" to encourage everyone over 18 to enlist in the Army. Targeted Audience: Anyone over 18, men and women. How The Terms of Citizenship Are Defined: Now, unlike in previous times, women are able to enlist in the military making men and women, essentially, equal.